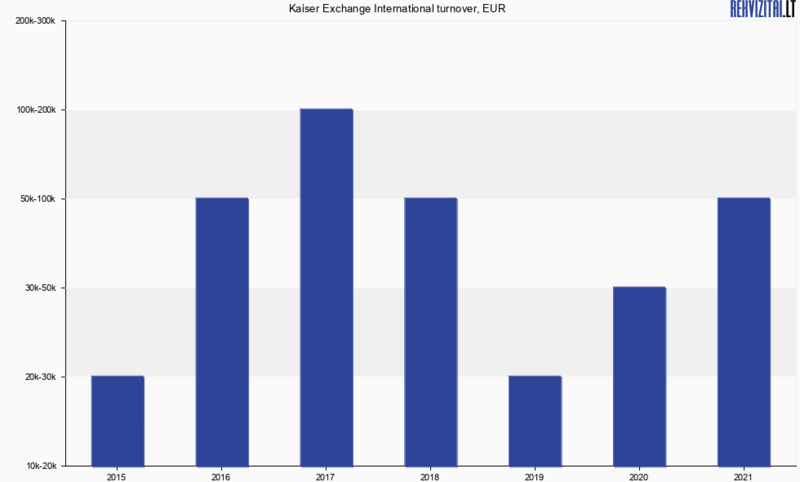 The chart provides the company Kaiser Exchange International, UAB 304089907 annual turnover. The company's turnover - is received and declared earnings for the year. K means thousands. M means million. > means "more than".